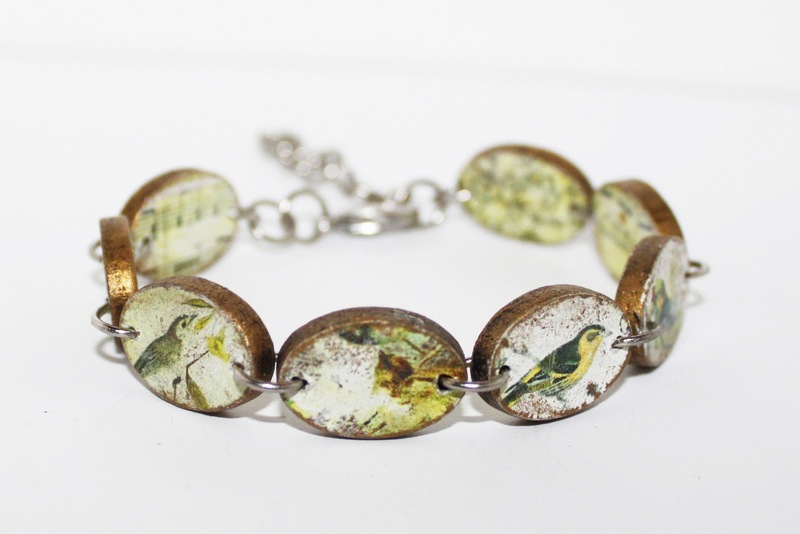 To create this fantastic bird bracelet you only need a few supplies. 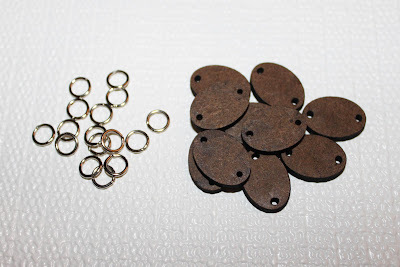 8 pieces of 18x13mm Masonite Ovals with Two Holes Vertical, 1 Pack of 7mm jump rings, A Silver Lobster Claw Clasp, Collage Sheet Images (I used DP87, DP88, and DP113), Mod Podge or a similar adhesive, Inca Gold Gilders Paste, and fine grit sandpaper. Begin by placing your oval over your image (I shrunk mine down before printing) and trace around it with a pencil. 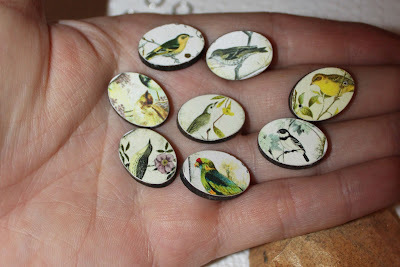 Cut it out and glue it to the oval using Mod Podge. It doesn't have to be cut perfectly as we will fine tune in the next step. This next part is really important. 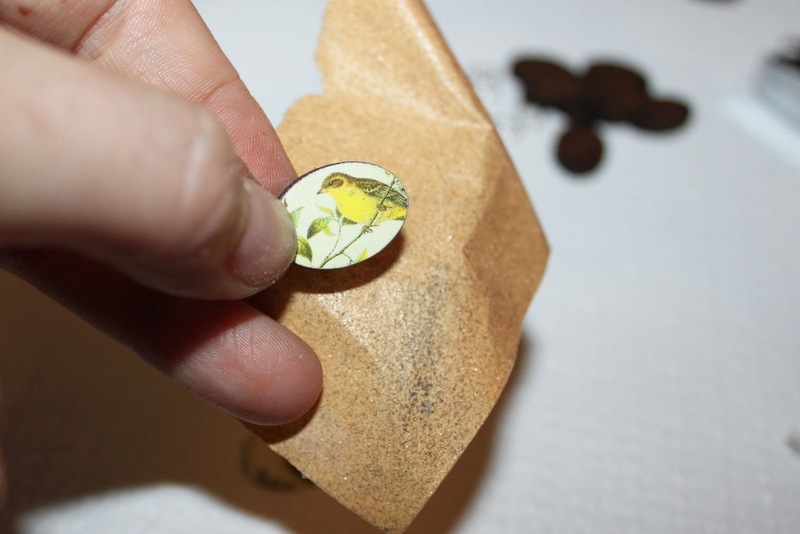 Use a piece of fine grit sandpaper and sand around the edges of your oval to remove any excess paper. I find that sanding in a downward motion works best. Don't sand back and forth, just downward toward your image. This leaves a perfect edge and it's really easy! 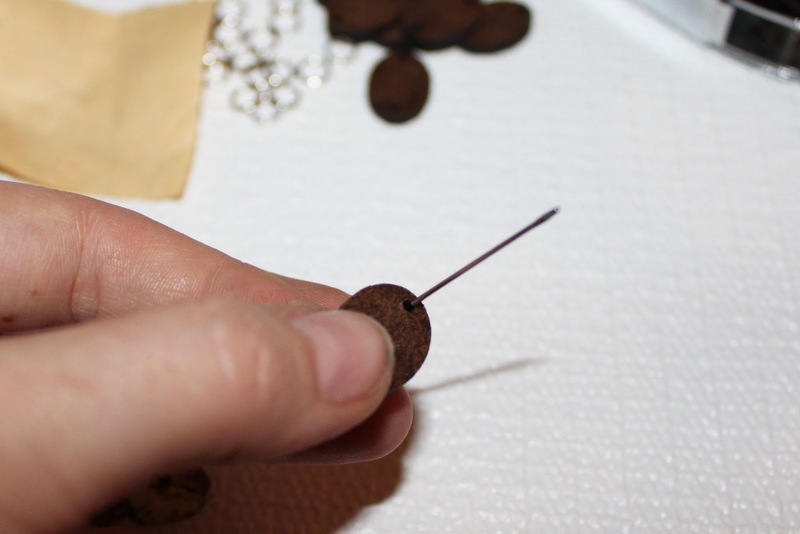 After attaching your image to one side, create your hole by piercing the paper from the back side using a needle, safely pin, or an awl. 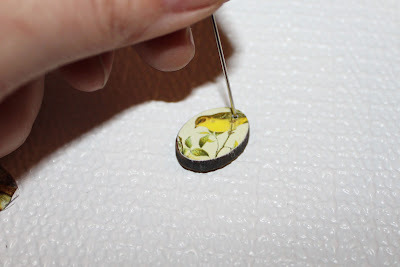 I used a large sewing needle that I had on hand. Flip it over and enlarge your hole from the front if needed. 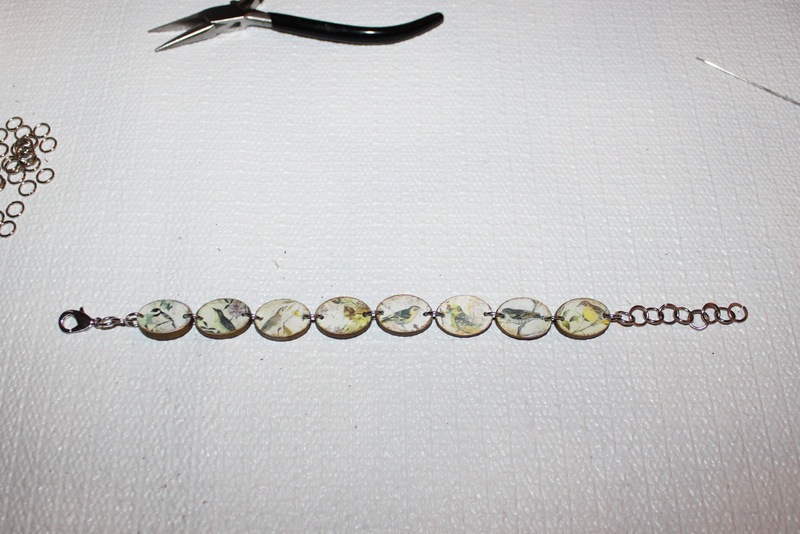 Repeat for all 8 pieces and then also add images to the back if you would like your bracelet to be reversible. You can always leave the back plain if you would like. Either let the natural masonite show, paint, or add Gilders Paste to the back. I added images to both sides. To age my pieces I first added some white acrylic paint over some of my images using my finger. Just to make them a bit more hazy. 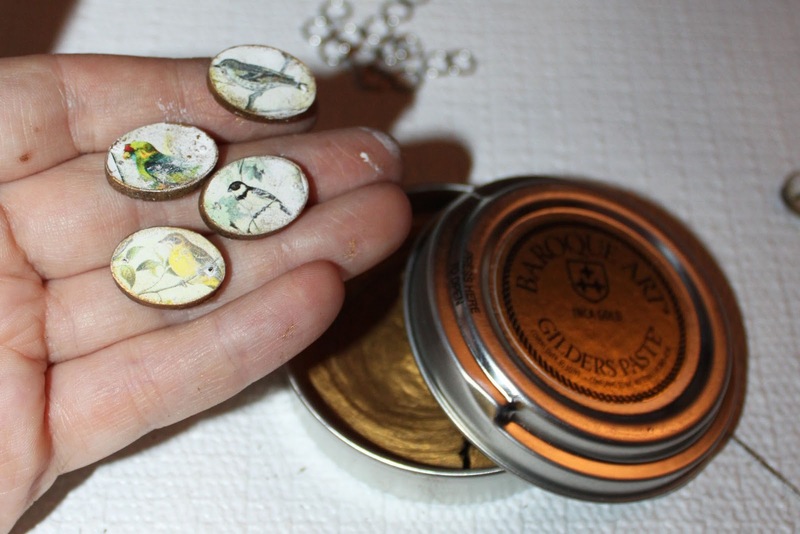 Then I added Inca Gold Gilders Paste paste around the edges. I love how this turned out. 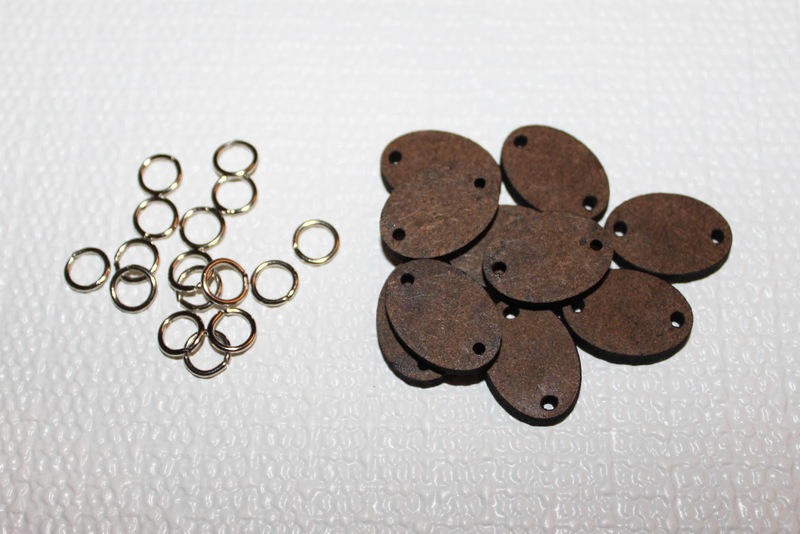 Using 7mm jump rings or larger, attach your ovals together, adding 2 ovals per jump ring. 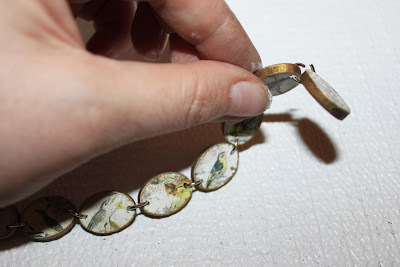 Add 2 extra jump rings to one side and then attach your clasp to the last ring. On the other side add several jump rings. I added 9 extra rings. This allows the wearer to adjust the length, which is especailly nice if you're not sure of the wrist size. 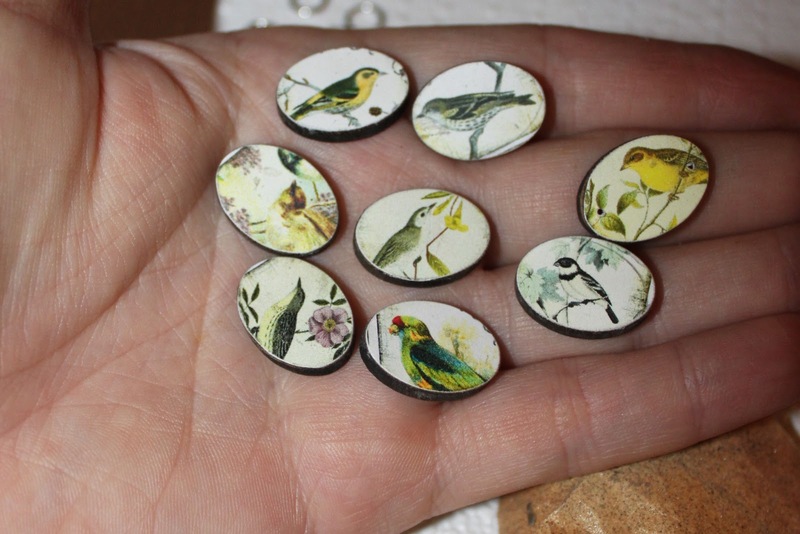 If desired you can seal your images with Diamond Glaze (before connecting your ovals) or a light spray of Krylon Acrylic Sealer. I gave mine a light spray on both sides after it was all connected. I just love that you can make these reversible! 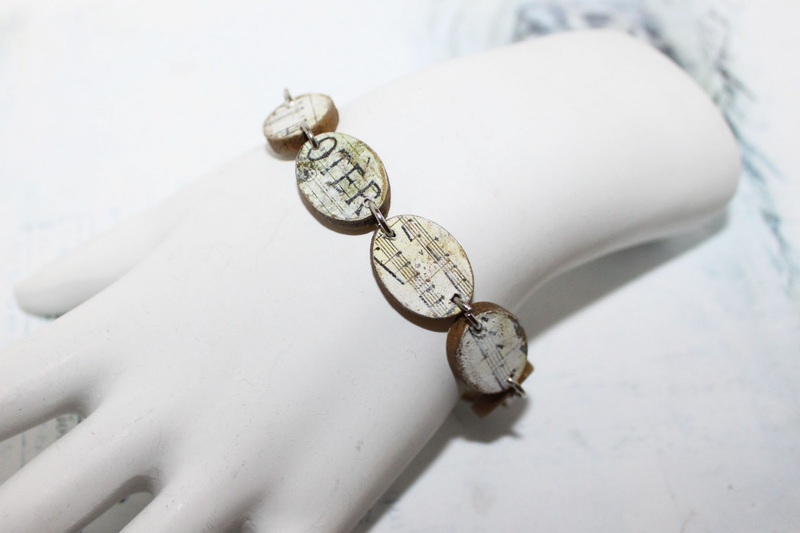 The bracelet is also very lightweight. And done! You can see how I packaged my bracelet here using recycled materials. 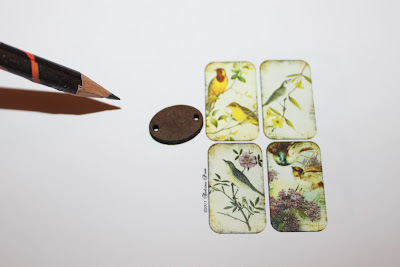 All you need to create one for yourself is 8 pieces of 18x13mm Masonite Ovals with Two Holes Vertical, 1 Pack of 7mm jump rings, A Silver Lobster Claw Clasp, Collage Sheet Images (I used DP87, DP88, and DP113), Mod Podge or a similar adhesive, Inca Gold Gilders Paste, and fine grit sandpaper. 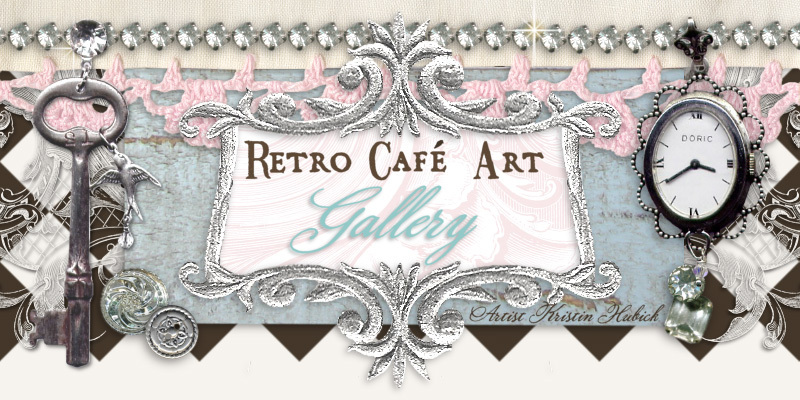 Make one for yourself or to give as a gift! this is darling!!! thanks for sharing this tutorial!!! Ummm...WOW! I totally LOVE this!!!! How cute your bracelets are--and a tutorial on how to make them--thank you!!! I can't wait to try this . . . 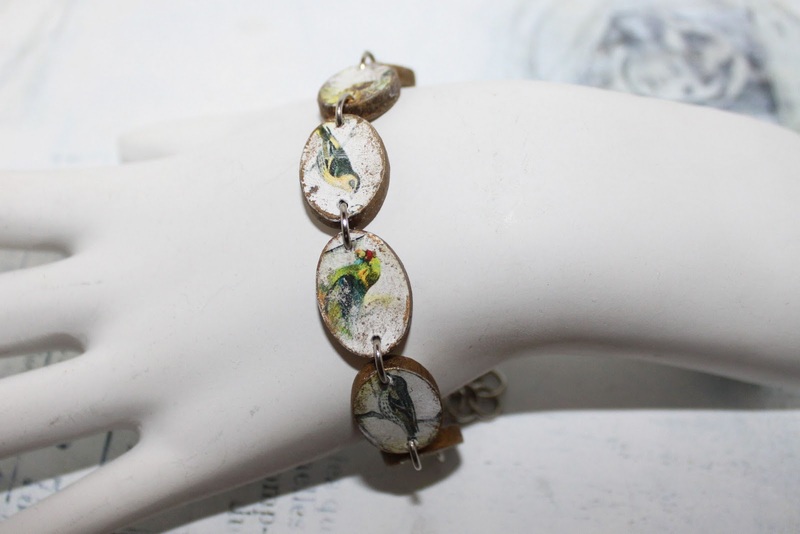 I love birds, so that bracelet is very appealing. such a great bracelet!! thank you for sharing how you made it, kristin!